Are you conducting research or overseeing a unique project in your classroom or community? Have you published a book or paper, or received a significant grant or award? University Communications can help spread the word about your work and achievements, on campus and beyond. 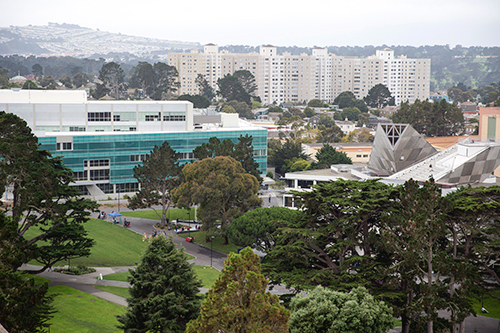 Members of the news media often look to SF State for faculty experts who can provide context for a breaking news story or offer insights on a variety of topics. Joining our Faculty Experts database can help establish you as an authoritative voice in your field and promote the academic excellence of the University. Learn about the ways in which University Communications can help connect you with members of the news media, which helps to build support for SF State and bring greater awareness to your work.